For Cammie and Royland, it also means bringing a boy to his home, and ensuring he has a safe place to live. Meanwhile, Diego and Sgt. Garcia begin their journey to secure their side of America. While victory is close at hand, theirs is a world where cutting off hands seems just as likely as shaking them. Will they be able to convince the locals peace is worth having? This is the best Valorie book yet! 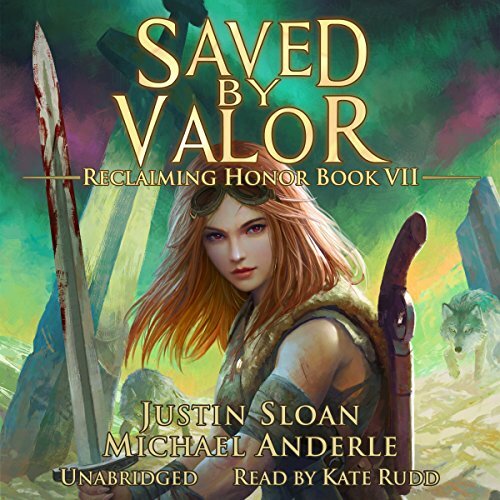 I really enjoyed listening to this audio version of this story and found that having the voices makes reading the pre audio versions even better. Love it can't wait for more chomping at the bite every time a new book comes out waiting for the next one is helk. I like how in the start of the book u can recognize something thats in an other of the kurtherian gambit series books (stormwarrior from the age of magic series) If you listen to stormwarrior you will know what I mean. I'm enjoying the story and the characters. My only niggle with this is the occasional bit of infelicitous wording. I love the whole KGU (Kurtherian Gambit Universe) arc and characters its a great cohesive read from book one on. I live and dream these characters. I hope at least two couples form from this arc. I have not been so engrossed in a story as much as this one for a long time.